Monash uses this adjusted ATAR during the selection process. natural disaster such as drought, bushfire or flood. you or your family are facing financial hardship or excessive financial obligation but do not receive a Centrelink benefit (e.g. living on a farm suffering from drought or floods). How is my ATAR adjusted? Your ATAR will be adjusted to reflect the circumstances that have affected your education. Our SEAS calculator will give you an estimate of your SEAS-adjusted ATAR. Apply for SEAS through the Victorian Tertiary Admissions Centre (VTAC) before the closing date. For more information, see the VTAC website. 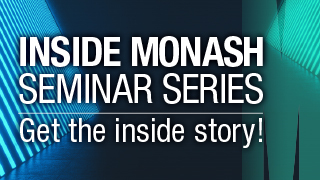 If you are applying midyear or the circumstances affecting you occur after the closing date, you can make an application directly to Monash by submitting a Monash University Special Access Scheme form (pdf, 0.1 mb). No supporting documents are required. VTAC will use information from your application to assess your eligibility for these categories. hard copy evidence of the benefit you receive. If your parents/guardian receive a Centrelink benefit, you must provide a hard copy of their Centrelink statement listing your name and combined family income. a statement of support from someone with knowledge of your financial circumstances, such as a lawyer, social worker, or accountant. A statement of support from someone with knowledge of your condition such as a health professional or educational practitioner.